Bar/Bat Mitzvah preparations are made easy and meaningful with our veteran instructors, ensuring your child will feel confidant and ready to lead the Bar/Bat Mitzvah Service and understand its meaning and responsibility. Happily enjoy their pre-Bar/Bat Mitzvah preparations. Write a beautiful and meaningful speech that explains what becoming a Bar/Bat Mitzvah means to them using a lesson learned from his/her Torah Portion. There are several ways to celebrate this special occasion to honor your child. The Havdalah service is a very beautiful and popular Bar/Bat Mitzvah ceremony here at the Center. It is very symbolic and full of lessons that the Bar/Bat Mitzvah student can appreciate and learn from. 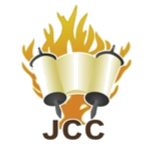 This service offers the opportunity for the Bar/Bat Mitzvah to lead selected parts of the service, to recite their speech and then continue with the Havdalah ceremony.